A campaigning council is demanding a raft of measures to help erosion-threatened seaside communities face their fate. It is the only way the embattled coastal area will accept the controversial new shoreline management plan, whose new policies could put thousands of properties at risk. Half a billion pounds worth of homes and businesses could potentially be lost to erosion and sea flooding under moves to abandon almost all the existing sea defences in north Norfolk. The district council has been among those vocally opposing the emerging shoreline management plan (SMP). But it is now saying it would “conditionally” accept the master plan – providing there are measures in place to help the communities affected. That could range from compensation to individual property owners, to relaxing planning guidelines to allow communities to expand inland. 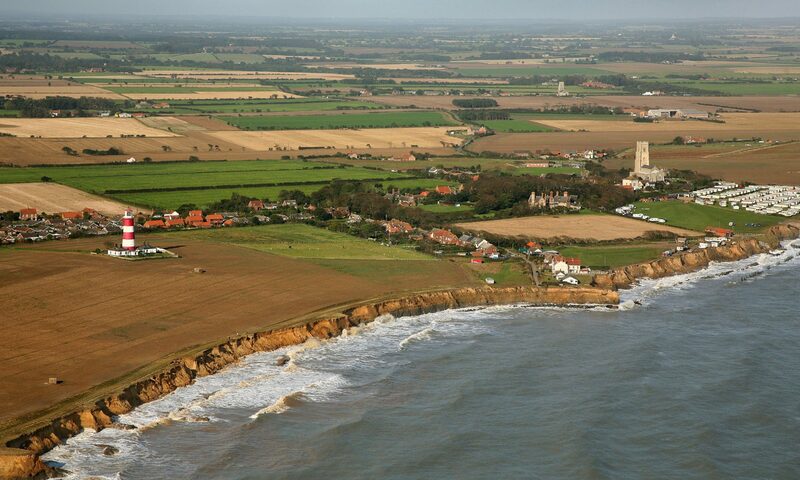 But North Norfolk District Council’s cabinet member for coastal issues Clive Stockton stressed the change of stance was not a question of caving in. Only the main resorts of Cromer and Sheringham, along with the nationally important gas terminal at Bacton, and the vulnerable Winterton area were earmarked for ongoing protection in the new SMP. Other places face “realignment” – by letting ageing defences crumble and nature take its course over the next 50 years. The areas most needing help to mitigate against possible policy change were Overstrand, Mundesley, Bacton, Walcott, Ostend, Eccles and the Runtons. Up to 1,000 coastal properties could be lost and a further 2,500 inland if the sea broke through, added Mr Stockton. Digging in its heels to seek help for communities could take years admitted Mr Stockton, but the council was spending £200,000 a year for the next decade, to buy time at villages whose defences were struggling to cope. Happisburgh was strengthened last year, and this year it was Overstrand’s turn. He was heartened the government which was previously “deaf” to the calls for social justice, was now looking at an “adaptation toolkit” including issues such as blight caused in communities by failing sea defences. Compensation was being discussed, along with the possibility of the government buying threatened property to give the owners their equity back, while leasing it back to tenants to keep it occupied until it became unsafe. Council cabinet will be asked to agree the new stance next Monday, and the issues will also be raised when a delegation meets the new environment minister Phil Woolas next month.